I only indulge in two kinds of alcoholic drinks—airag (fermented mares’ milk) and wine (please don’t get me started on Low-Life Beer Drinkers). 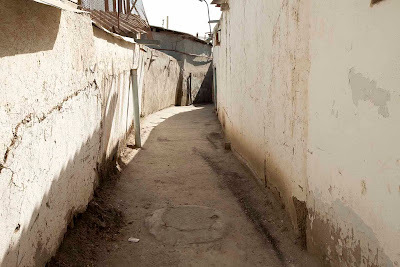 Airag is found throughout Inner Asia but is perhaps most common in Mongolia, with Övörkhangai Aimag arguably the Airag Capital of the World. As for wine, I drink only wine indigenous to the place I happen to be at the time. During my last three months in Mongolia I had not been to the countryside, where the best airag is found, even once, and none of my usual sources brought any airag to my Hovel in Zaisan Tolgoi, so I had not been able to partake of this stimulating and healthy (it is jam-packed with vitamins and minerals) beverage. 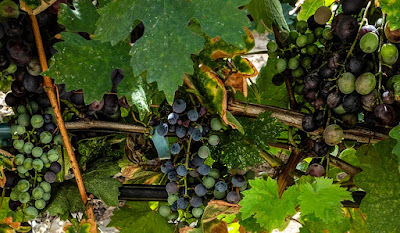 And there is no wine indigenous to Mongolia (I am not counting the dubious Mongolian-produced wine made from unidentifiable “fruits”), so basically I was on the wagon for three months. 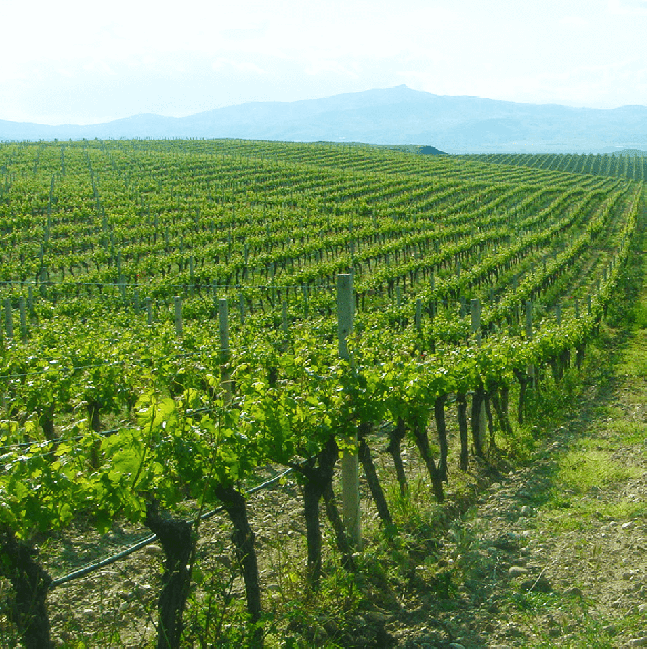 I am now in Macedonia, however, which boasts of a number of indigenous wines. “Indigenous” can mean a number of things. It can simply mean locally grown wine, regardless of the variety of grapes used to make it. 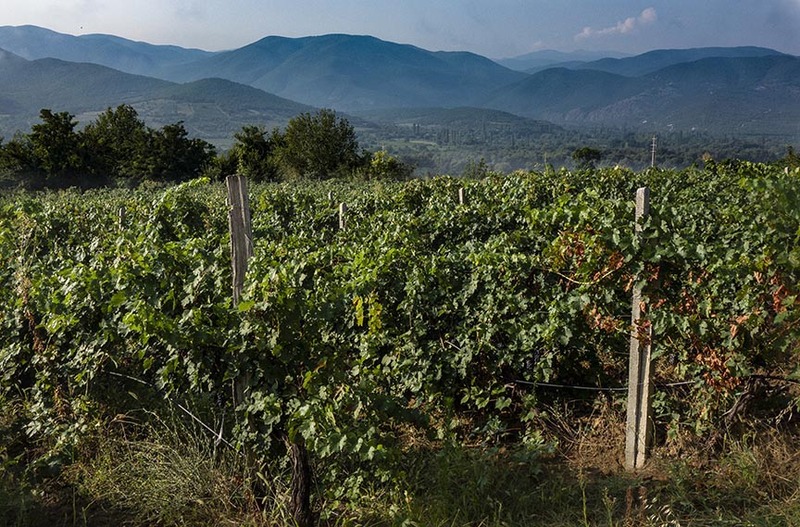 Macedonia produces all the usual suspects where wine is concerned—Cabernet Sauvignon, Merlot, Pinot Noir, Sauvignon Blanc, Chardonnay, etc., but all of these varieties of grapes originated outside of the Balkans and have been replanted here. I am not concerned with these. 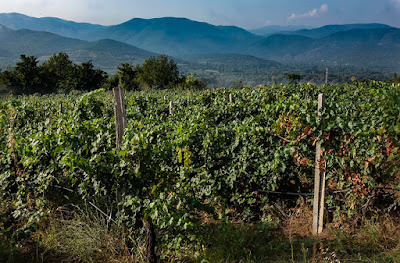 Macedonia also produces wine made from grapes indigenous to the Balkan Peninsula, of which Macedonia is a part, including Vranac, Žilavka, Temjanika, etc. 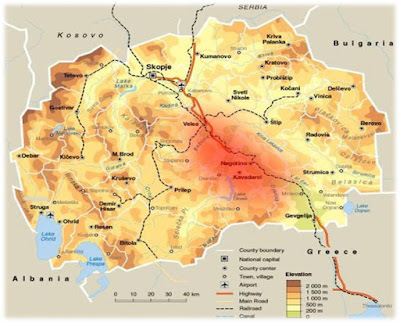 Not being a stickler in these matters, I am willing to drink wine made from grapes indigenous to the Balkan Peninsula, if not necessarily Macedonia. 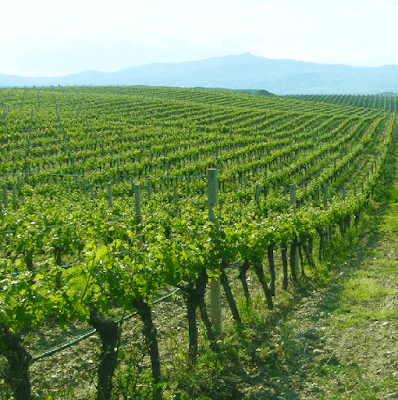 However, Macedonia also has at least one wine made from a variety of grapes which originated within the current boundaries of the country and is reportedly grown nowhere else. This is truly an indigenous wine and one of the most interest to me. 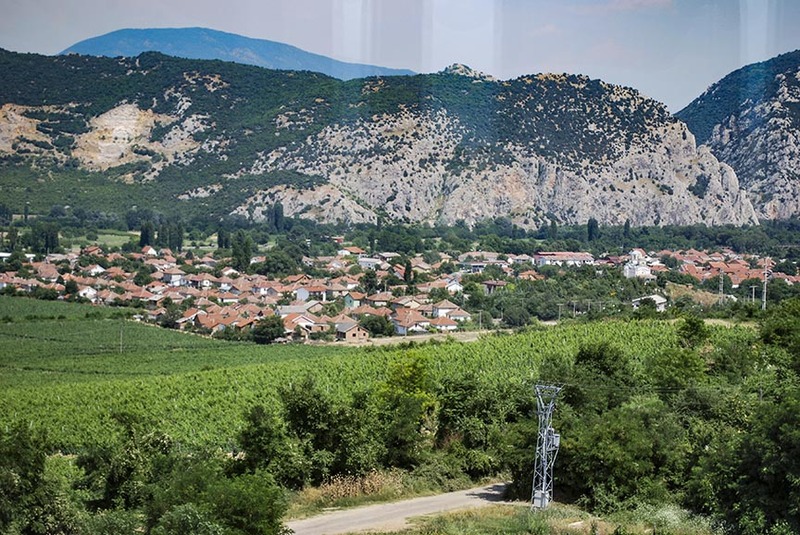 Eager as I am to further explore the city of Skopje, I decide I first better visit one of Macedonia’s famous wine districts and continue my research on indigenous wines. My attention focuses on the Tikves Wine District south of Skopje and more particularly the town of Demir Kapiya at the southern end of the district, not far from the Macedonia-Greek border. The Popova Kula Winery in Demir Kapiya produces a number of wines indigenous to the Balkans and at least one indigenous to Macedonia and also has an on-site hotel and restaurant. I had been here before in the summertime but was eager to visit again in late fall when I hoped it would be less crowded and I could concentrate more fully on my researches. I book a room for five nights, thinking to this will be enough time to complete my studies and effect a wine cure. 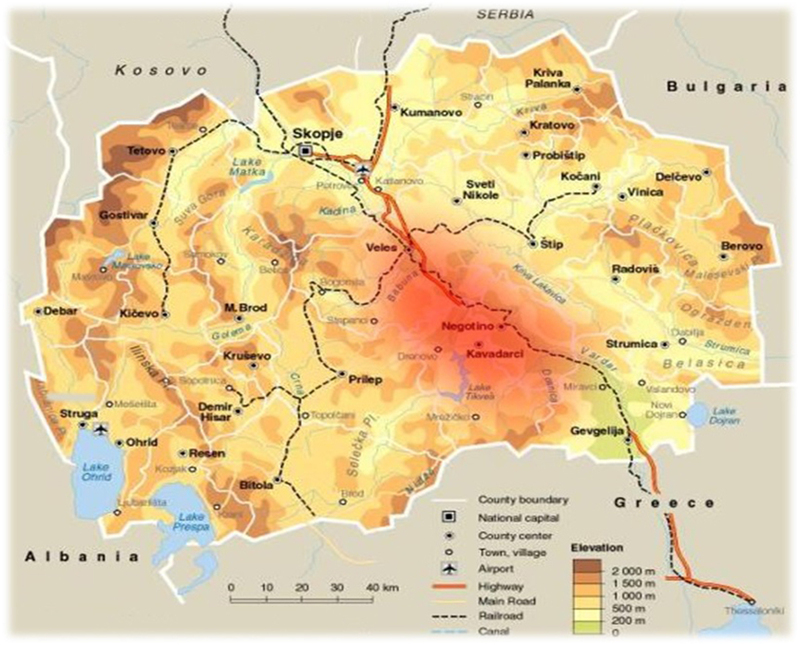 The bus for Demir Kapisa leaves the Skopje bus station at 11:00 a.m. The four-lane turnpike south travels along the Vardar River, first passing through a scenic Veles canyon before emerging out into the rolling hills of the Tikves Wine District, which covers about 2000 square miles and is on roughly the same latitude as the Bordeaux region in France, the Tuscany region in Italy, and the Napa Valley region in California; in short ideal wine country. 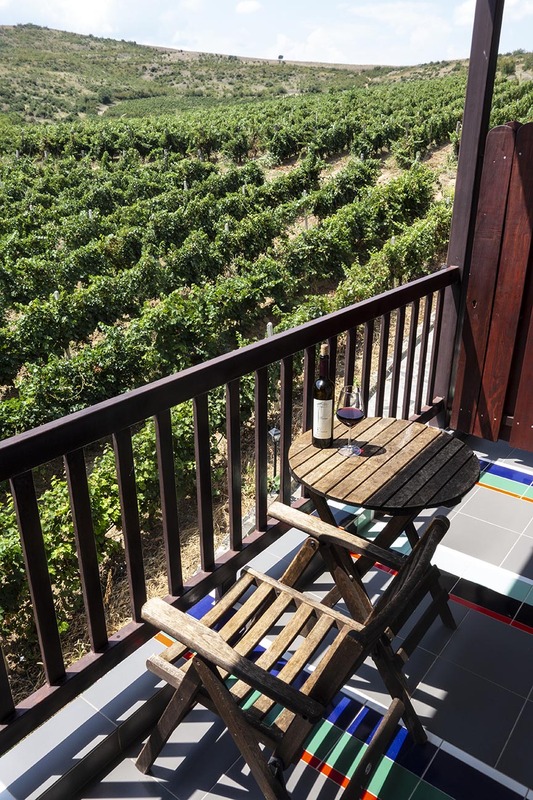 About forty-seven square miles of the area is actually covered with vineyards, which are maintained by thirty-seven different wineries. Vardar River and the Veles Canyon south of Skopje (click on photo for enlargement. Photo by Корисник:Македонец. 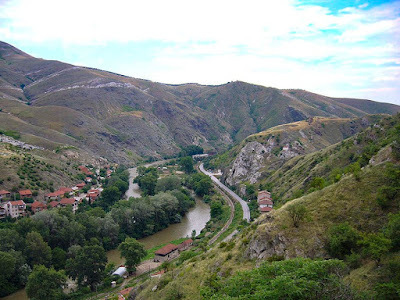 After stops at bus stations in the small cities in Veles and one other town whose name escapes me at the moment we finally arrive at the outskirts of Demir Kapiya, a sleepy little town of 3,725 inhabitants, where I am unceremoniously dumped off at a parking lot. I hike into town and track down a taxi to take me to the winery, about a mile and half away. Demir Kapiya. Photo by Rašo. “We don’t need your passport,” the receptionist at the winery inn tells me. 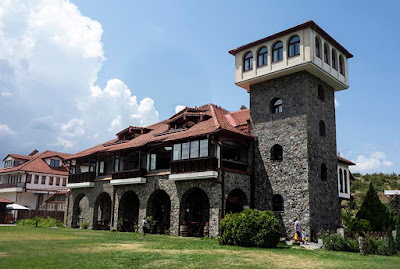 “We still have your ID information from your last stay.” When I was here the last time, in the month of August, the place was packed—I wanted to stay a day or two longer but was unable to extend my reservation—but now I am the only guest. 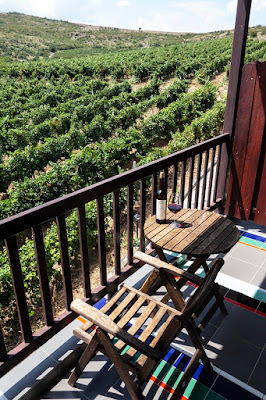 My spacious room has hardwood floors, a sitting area with a table and chairs, a balcony with a great view of the vineyards in the foreground and the mountains to the south, and, most importantly, a large desk with adequate lights. I settle in and begin my researches.